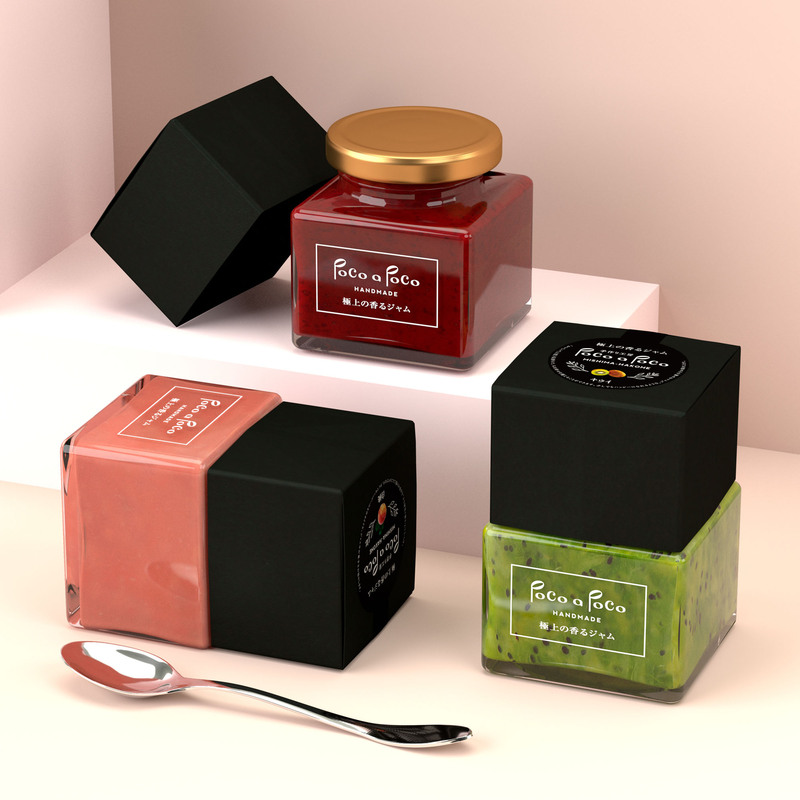 A package design for handmade high quality jams (confiture), that uses carefully selected materials. The jams comes in more than 20 different varieties. This multicolored lineup means you can pick jams by color, giving you a new way to enjoy them. 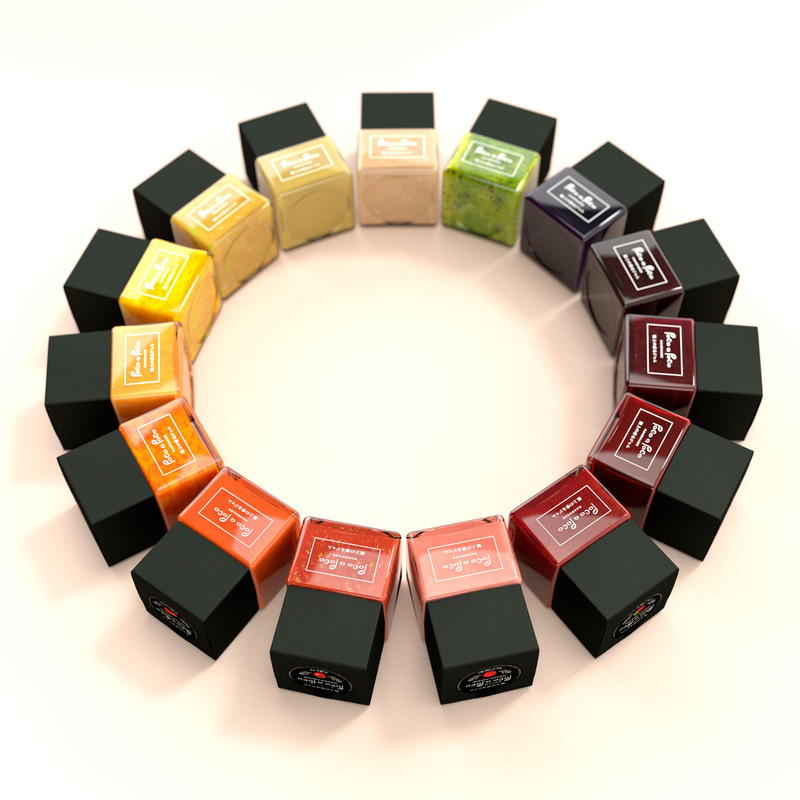 It’s like choosing the color of nail polish to paint your nails with, and can match your clothes or your mood. 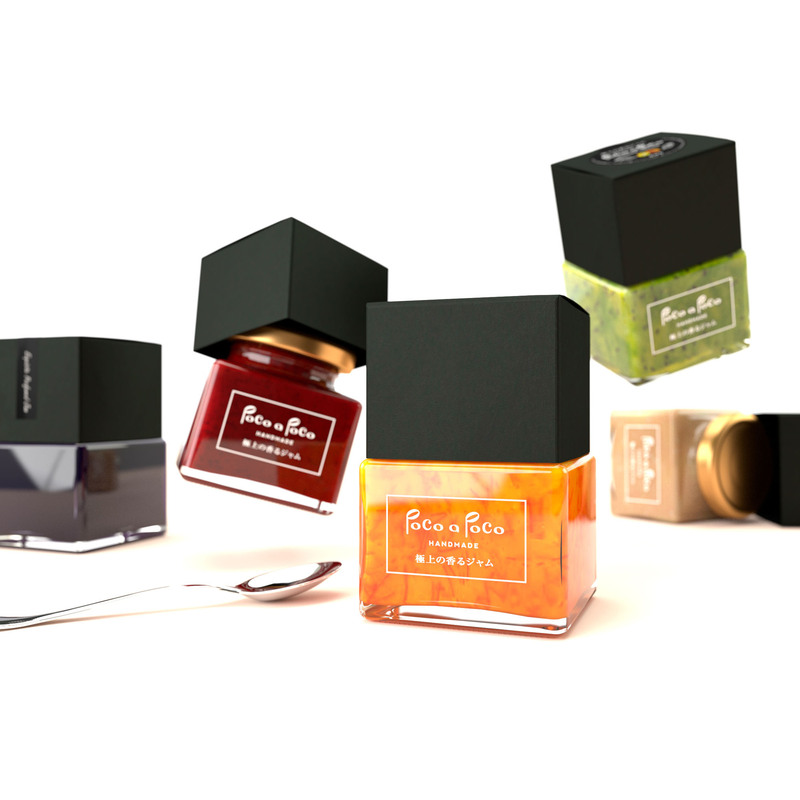 Just like a beautiful lineup of colorful nail polish, these jams provide a colorful display for your dining table. In regular jam package design a label is stuck on the jar, and paper is placed over the lid and tied with string. 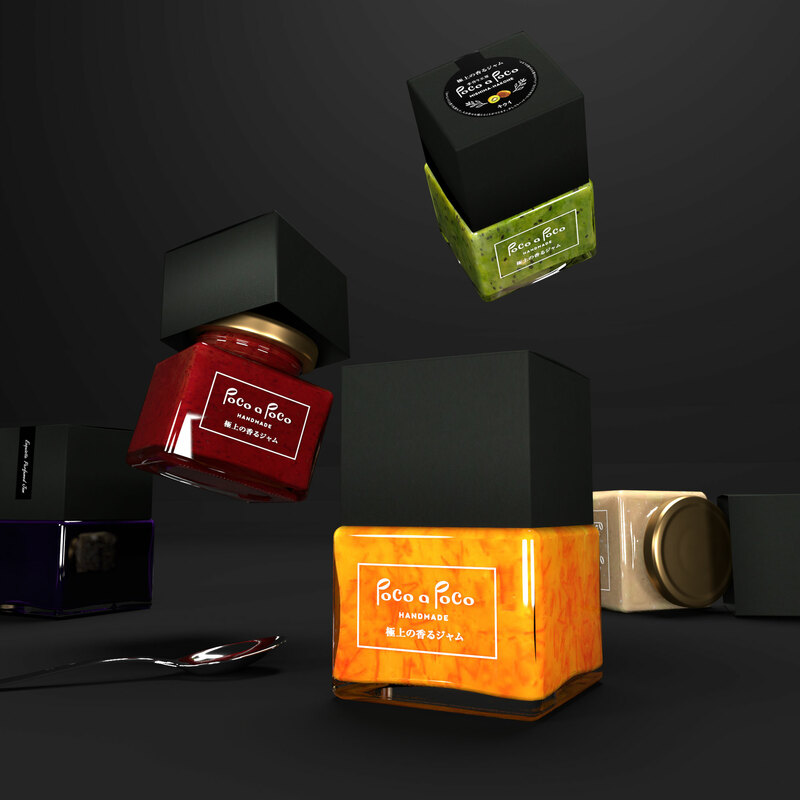 However, in this design a caramel box made out of black card is placed on top like a cap, a design characteristic reminiscent of nail polish design, transforming the product into one with both beauty and class. 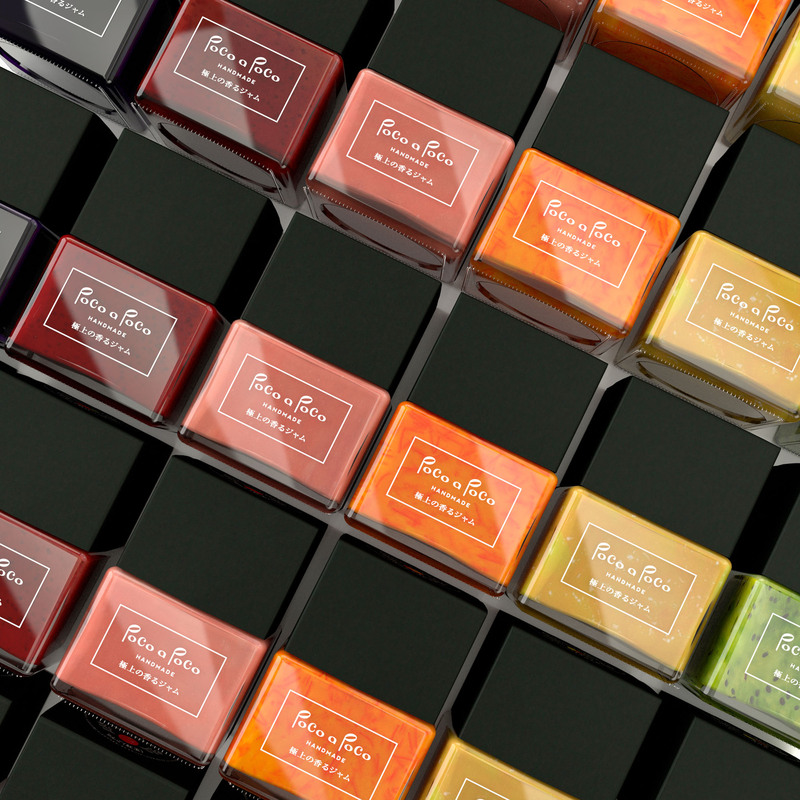 A round label is stuck to the top of the box shaped lid so that the ingredients can be read, and, to avoid obstructing the beautiful color of the contents, the design features on the glass jar are kept minimal.